Early this month, the internet was buzzing with news of a possible connection between Ridley Scott’s Prometheus and Blade Runner. The article, "PROMETHEUS Blu-ray Easter Egg Reveals BLADE RUNNER Connection?" explains this. The last part of the month buzzed with the news of the release of the Blade Runner (30th Anniversary Collector’s Edition) on Blu-ray set -- with reviews and contests to win a set. Below are some of the contests where you can enter to win one. BladeZone's "Blade Runner 30th Anniversary Give Away!" -- Ends November 24, 2012. Win the Blade Runner 30th Anniversary Collector's Edition combo pack! -- Sweepstakes begins at 10:00:01am PT on 11/1/12 and ends at 11:59:59pm PT on 11/5/12. 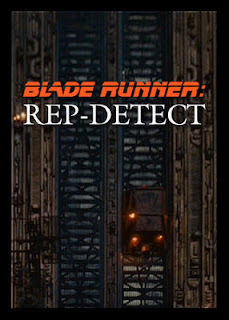 Blade Runner: Rep-Detect board game, designed by I. J. Thompson. 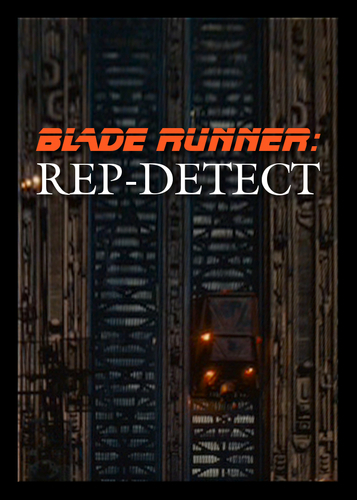 Blade Runner: Rep-Detect is a game of action and suspense based on the 1982 film Blade Runner. In this game, players portray one of the film’s titular detectives and must search futuristic Los Angeles for five genetically-engineered humanoid Replicants, who have illegally escaped to Earth from the off-world colonies and are virtually indistinguishable from the human population. It is the Blade Runner's job to shoot to kill, upon detection, any trespassing Replicant. However, it is possible that any one of the Blade Runners may become a fugitive Sympathizer and attempt to escape the city with one or more Replicants. Now for some articles, art, music, and videos! Music Review: Vangelis, "Blade Runner: 30th Anniversary Celebration, Music from the Motion Picture Soundtrack"
More Blade Runner Fan Art on fanpop! You can now follow OFF-WORLD NEWS on Pinterest! Pinterest is an online pinboard. Organize and share things you love. And remember to follow @OffWorldNews on Twitter to receive these and other Blade Runner related news items, (including movie showings, specials, and auction items not featured in this newsletter), as it comes in. UPDATED: November 1st, a new contest to win the Blade Runner Blu-ray set. Professional model-maker Jason Eaton shares the story of his amazing Blade Runner Off-world Blimp. Featured on Jamie and Adam's Tested website. Here's a prop replica build that even Adam envies. 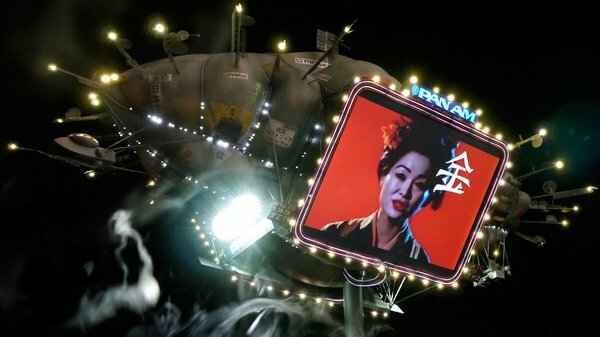 Jason Eaton is a custom kit builder who frequently contributes to the Replica Prop Forum, and reached out to us to share the story of his Blade Runner Offworld Blimp project. Jason, who has worked on licensed replicas from collectible model companies like Master Replicas (no longer in operation) and eFx, spent over three years researching a prop which was only on screen for a few moments in Blade Runner. His replica is 1/2 studio scale, meaning it's about half the size of the model used for filming, and features dozens of LEDs, four servo-controlled spotlights, and two mounted LCD panels displaying the original video advertisements seen in the movie. Just watch this video of the completed build. Jason tells us a little bit about his model-making career, how he approaches kit design, and the behind-the-scenes story of his awesome Blade Runner Blimp.